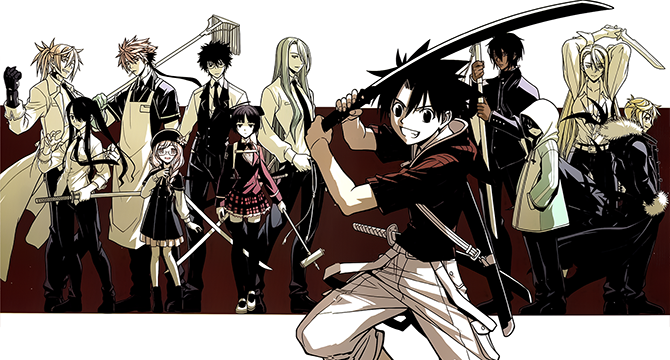 The UQ Holder Chapter 150 goodness begins. ^_^ Note: The images are the original size provided. 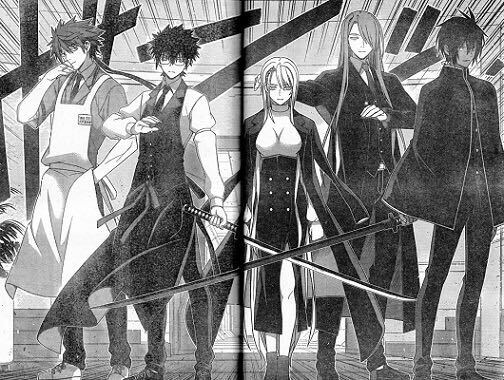 So, looks like our missing UQ Holder members from all the way back in chapter 1 are here as part of a flashback. This may have been the only way for Akamatsu-sensei to properly introduce them. Also, are we seeing how Chachazero “died” in a manner of speaking? Since the chapter should be published in English on July 8, around 5pm PT, I doubt there will be more spoilers posted, though there’s a chance the entire raw of the chapter shows up before the English chapter does. That aside, I am now kinda hyped for the new chapter. Assuming the hooded guy from the first chapter turned into Santa, we’re still missing Zect’s long-lost relative, Vampire Fate. Yeah, that’s what I was thinking. I doubt we’ll ever be explicitly told this. 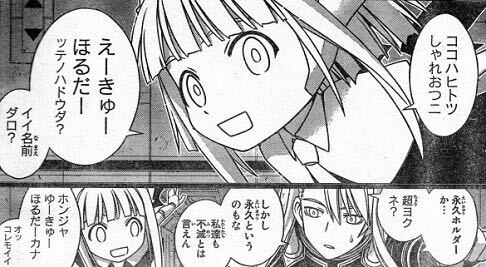 If anything, Akamatsu-sensei will leave it to the reader’s imagination on if they did or didn’t. The Japanese like to do that kind of writing. I read on Akamatsu-sensei’s twitter page that the chapter after this will be Kuroumaru’s story. I’m excited for this, but although I havent read this chapter it already feels like quite the jump! I suppose this will be the last flashback chapter. Oh. Well, that will be awesome. And hopefully, it is more than just a single chapter. Yeah, it was back-door available on CR. I hate when they don’t properly set things up. 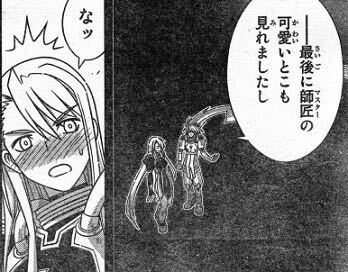 The fifth page does focus on the attempts by Yukihime/Eva to develop a set of Negi clones. Each of the Negi clones seem to be a combination of Negi’s genes and of genes from others. The others likely belong to members from Negi’s class 3-A. I can assumed that some of the others’ genes were from other people who were not members of Negi’s class. The images do suggest that Cutlass was one of the forces which kill of almost all of the Negi clones. The ideal of killing of the clones is an act of murder of the worst kind. A lot of the deaths of the Negi clones can be contributed to accidents and natural causes. 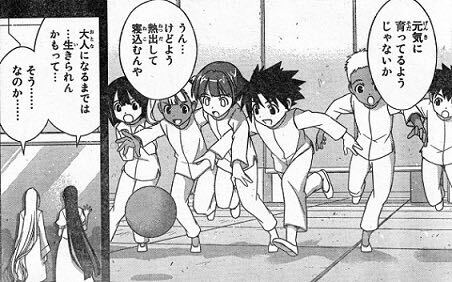 From the events around the death of Touta’s stepparents, someone was behind the death of the majority of the Negi clones deaths. In other words, the deaths were an act of plain cold murder. As a result of what Cutlass told Touta, she did play a part of a part in the deaths o0f her brothers and sisters. Since someone was behind the deaths of most of Touta’s brothers and sisters and his stepparents, they have came very close to creating a serious paradox involving time. Right now, the Negi clones do support Chao’s claims of Negi being her ancestor. Well, as we learned in the chapter, the clones usually don’t survive.